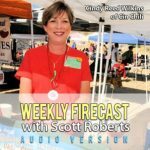 I’m excited about the next batch of reviews forthcoming from ScottRobertsWeb.com. 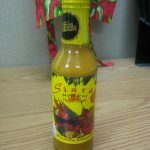 The reason is simple: there are some outstanding products coming down the pike that you definitely should take notice of if you call yourself a fan of fiery foods. 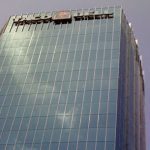 The first in this short series comes from a a new company headed up by Houstonian Kerry Stessel under the banner of Hot Line Pepper Products. I first sampled these when Kerry visited ZestFest 2011 in Irving, Texas. As he made his way around the show floor, he stopped by the Bloggers Booth (with its lone person running it being me) and let me taste some out of his test bottles that he brought from his drive up. 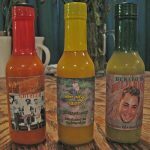 Now, if you’ve ever attended a hot sauce show, you know that it can be a dizzying proposition to keep track of the dozens – or even hundreds – of new products dished out by vendors. But I remember being impressed by the Hot Line Pepper Products offerings. 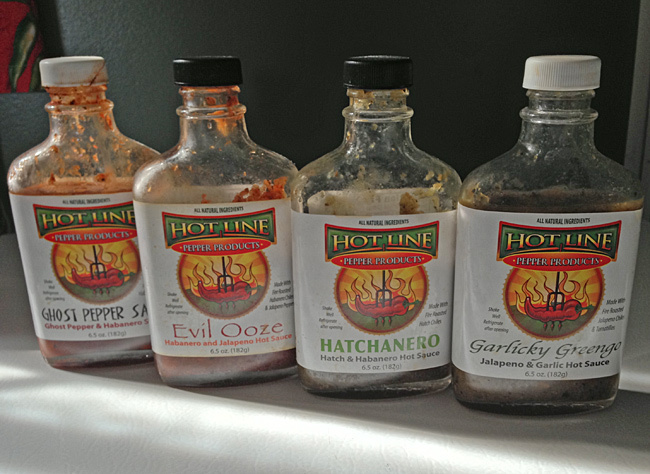 Now over two years later, I’m finally giving you this formal review of the four main Hot Line hot sauces – Garlicky Greengo, Hatchanero, Evil Ooze, and Ghost Pepper Sauce, in all their Texas-born glory. Hot Line’s Garlicky Greengo is a great-looking, chunky condiment that’s olive green in color that’s accented with black specks and light garlic fragments. This is one flavorful sauce! Verde sauces are a die a dozen, but Garlicky Greengo is without a doubt is resting at the upper echelon of green chile peppers that I’ve had the joy of consuming. There’s nothing ground-breaking, but the harmonizing of roasted jalapenos, tomatillos, garlic, cilantro and more pop and punch the tongue. Not only does this excel on the expected meals – burgers and Mexican fare – but also complements Italian-inspired dishes as well. It’s breathtakingly rich, meaty and delicious. 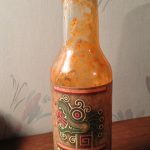 Heat-wise, it’s a mild-medium sauce that would find a huge audience containing both fair-weather hot sauce users and experienced chileheads; and on a burn scale of 1 to 5, it sites at around a 1.5. Excellent job on this! 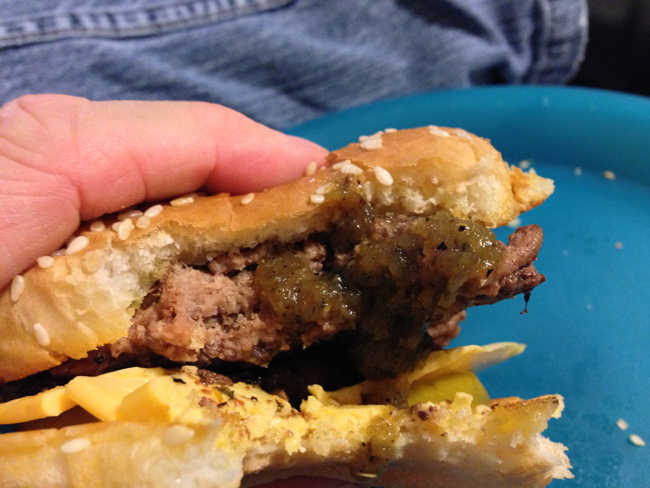 Garlicky Greengo is killer on burgers! Hatchanero has a texture, color and consistency very similar to Garlicky Greengo’s. When it comes to taste, it deviates much more, though. Hatchanero, as you can probably guess, has a mixture of Hatch chiles and Habanero peppers. Although jalapenos are one of the base ingredients, this particular sauce boasts both cool, sweet tones and tart, vinegary brightness. There’s still some of the same garlic, onion and cilantro notes as the Garlicky Greengo, but they’re a bit more subdued in this mix. Because it possesses a little less kick, more sauce may be required on your food (ironic, because there’s a little more heat on the back end). 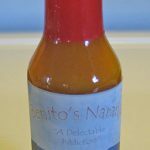 Hatchanero is a general-purpose sauce that fits as beautifully on white meats and fish as well as south of the border cuisine. The heat approaches a 2.5 on a scale of 1 to 5. A very worthy offering from Hot Line Pepper Products. 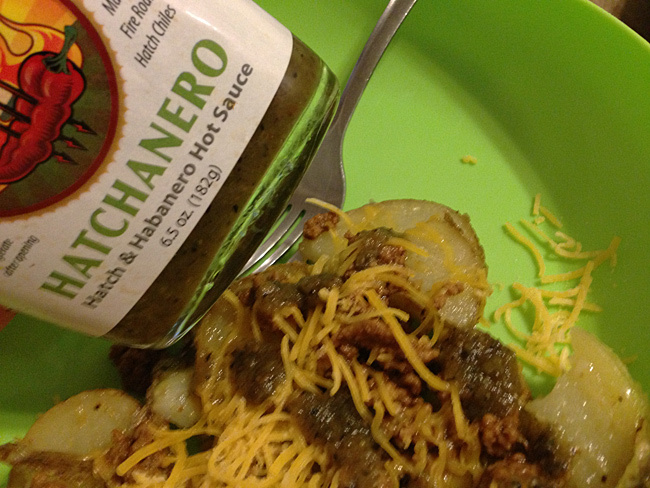 Hatchanero on potatoes, seasoned beef and shredded cheese. This deep, red elixir may look like it’s a world away from the previous two sauces, but there’s still the same superb thick, chunky viscosity that I dig. Evil Ooze has a much different flavor profile that’s dominated with a bevy of chile peppers ranging from sweet to deliciously roasted to tangy to scalding, with no one component overpowering any of the others. Nicely done! There’s a touch of vinegar tartness with only the lightest hint of a powdered chile powder sensation (personally, I prefer fresh peppers or pepper mash) but that last aspect is only a tiny gripe. 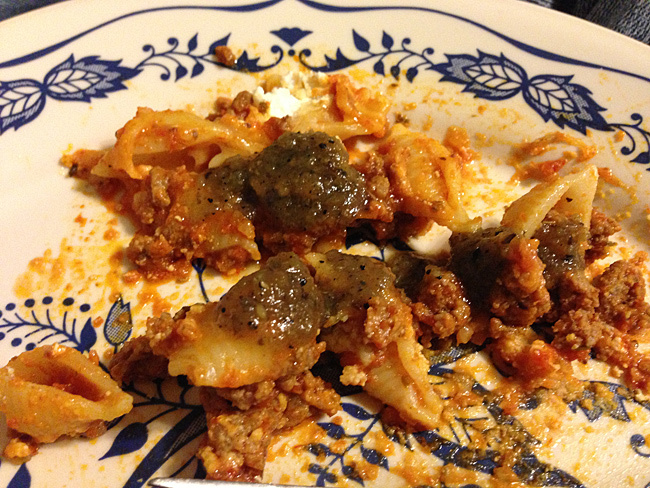 Eggs, burgers, nachos, and pizza are just a mere smattering of foods on which Evil Ooze is smashing. A 3 out of 5 burn would be appealing to heat lovers. Evil Ooze may be the most versatile of all Hot Line Pepper Products’ sauces, and it’s also the best. 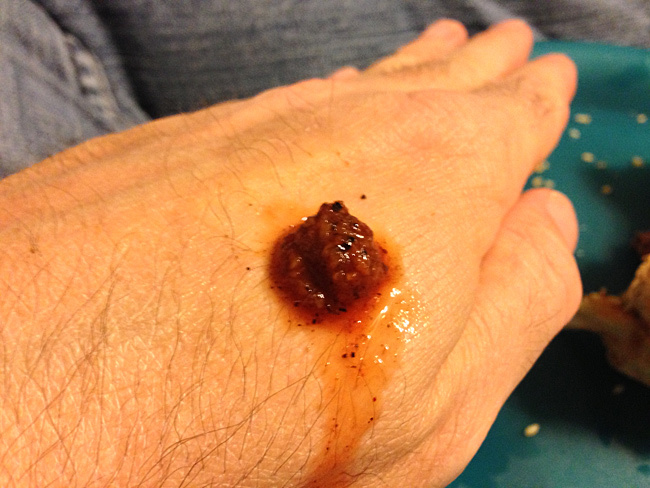 Evil Ooze oozed out on the back of my hand. The consistency can be very thick and chunky. This one packs a runnier texture that contrasts with the other three’s denser, clumpier-style brew. It’s a beautiful-looking reddish-brown mix dotted with thousands of black flakes. Tartness and chile-produced singe rule the day here. 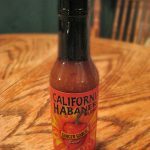 Even though it’s billed as a ghost pepper sauce, there’s still quite a bit of complexity that abounds, but none that steer the flavor in any specific direction other than hot n’ tasty. 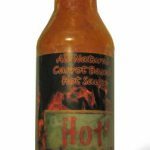 The Hot Line Ghost Pepper Sauce conjures up a blaze in your mouth that clocks in at 3.5 or 4, leaving chileheads in a world of happy. All in all, this sauce is brilliantly adaptable and equally scrumptious on whatever you put it on. All the Hot Line Pepper Products employ 6.5 oz “flask”-style bottles with clean, white labels. The Hot Line Pepper Products logo itself is clean, crisp and modern, with bright colors and easy-on-the-eye shapes that thankfully avoid looking like 1990s clip art. The names and types of sauces are unmistakable, with each product having it’s own font style and font color. I also like the fact that underneath the sauce name, Kerry Stessel (or whoever did the artwork for him) had the forethought to give the description of the sauce, such as “Habanero and Jalapeno Sauce” for the Evil Ooze, for instance. 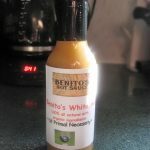 Quite often when a sauce maker sends me their sauces, one or two out of the bunch ends up being an average or weak entry. Not Hot Line Pepper Products. Each offering is a unique and quality sauce with a strong arsenal of positives. Chileheads and fans of loads of pepper flavor owe it to themselves to check out Hot Line, and go do so at their official website.